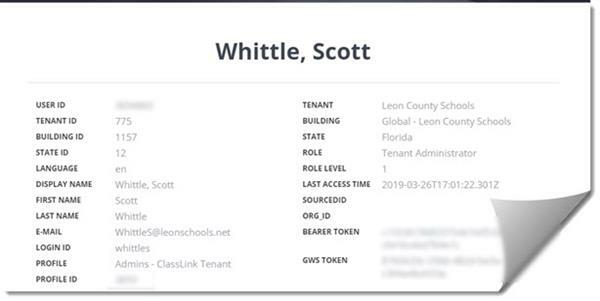 We are pleased to share that we have adopted ClassLink, a single sign-on platform that will allow teachers and students to use one username and password to access everything they need. You can learn more about ClassLink here and see why we feel it’s so important to create faster, easier access to digital education resources that your children need to be successful. ClassLink - Password Recovery Setup - Critical!! Apple QuickCard App - New!! Clifton, NJ – April 19, 2018 ClassLink, the leader in single sign-on, class rostering, and learning resource analytics, announced that it has earned the iKeepSafe COPPA and California Student Data Privacy Certifications. The company is the first and only single sign-on platform to earn this certification, which is awarded to programs that have been proactively and independently assessed by iKeepSafe, an experienced privacy protection organization. iKeepSafe Privacy Certifications simplify privacy compliance for education technology vendors and make it easy for schools to identify websites, apps, data management platforms, and other technology products that follow various privacy laws governing student data. Products that carry the iKeepSafe badge provide educators and parents with the assurance that the product meets iKeepSafe’s standards in the areas of privacy, safety, and security. 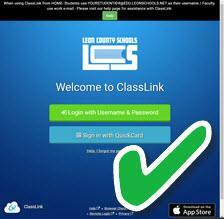 If you loaded the original LCS SSO app from the Apple or Google Play stores, users should uninstall the app and replace it with the updated ClassLink LaunchPad apps below for your device. 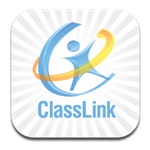 To get started today, download the ClassLink Launchpad app from Apple App or Google Play. 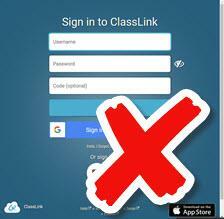 There are certain tiles in ClassLink that require a specific method of user authentication such as AD/SAML etc. The QR codes do not qualify as an official authentication for that purpose so will not allow them to properly access the system. To work around that issue for those specific tiles, simply have the students log in manually using the student ID number on their QR badge as their username and their password which is normally set to their lunch pin # for those students using QR codes (K-1). This should allow them to login with their offical AD credentials and the tiles that rejected their authentication due to the QR login should now allow the student to access it properly. When checking a students inability to properly access ClassLink or Tiles within ClassLink, please verify the following items have been checked prior to reporting a Helpdesk ticket/email asking to resolve the login issue. Most issues are required to be resolved locally as they are due to issues controlled by the school itself. Is the student's AD account active: When we bulk reset all of your student passwords at the beginning of the year, this is a onetime event. Any new students created in AD after that date are disabled with a blank password by default. Student accounts will not be able to login to computers or ClassLink if their accounts are still disabled. Solution: You will need to go into AD and enable the accounts and set the password. 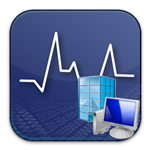 A disabled account will have a down arrow on the icon in Active Directory. An enabled account will not have an arrow on the account. NOTE: Elementary schools- you will need to add these accounts to the passwordpolicy-elementarystudent group before you set the password. If you don’t then you can’t set them as the Lunch PIN because otherwise, the password has to meet the domain password complexity requirements. Password Issues: Student tries to log into ClassLink but can't even though you have reset their password. Solution: Student needs to log into the computer locally first using their own credentials (NOT a generic login) and set the password for their initial login. Student acct set to change the password on next login in AD will not be prompted for this unless the account is logging into the computer itself as themselves. This will cause ClassLink to refuse to let them log in until they have set their passwords. Alt option: Techcon removes the set new password at next login option and set the password to the school standard. Security Groups in AD: Students or faculty/staff MUST be placed in the appropriate security group before ClassLink can apply the tiles assigned to that specific security group. Missing Tiles: Students or Faculty has been properly placed in the correct Security group in AD, but they still can't see the tiles they are supposed to have. Transfer Students from other schools: Student has transferred from another school in the district and they can't log into the computer or ClassLink but they could at their other school. Solution: You will need to check these accounts to see if they are disabled. If they not, then enable them. You will need to set the passwords for these students to match your school's password standard. NOTE: Elementary schools-Elementary schools- not all schools choose the same password standards for all grade levels. 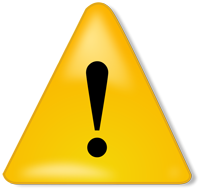 Student acct keeps being disabled repeatedly: If you have a student that has been enabled and keeps repeatedly being disabled for no apparent reason, please let us know. 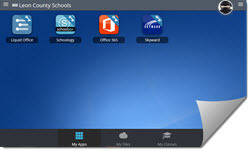 Solution: Teachers of those students MUST assign their students the appropriate textbook content using the admin tile for those textbooks before a student can see the text in the system. If they y do nof they were assigned a text previously, they will only be able to see their previous years textbook. Home - When users log in from home they MUST use their entire LCS email address. Private mode test - Open an incognito or private window and navigate to the login URL above and try to login that way. Verify network password test - Have the teacher log completely off the desktop (Not just a screen lock and unlock with their password, but officially log off the desktop entirely). Once they log off, have them log back into the desktop again. If the login fails, their password is actually expired and they should get prompted to update it as long as it’s a domain connected computer. If not, reset their password for them and have them try again. If the IP address does not resolve, verify network connectivity of the panel to its hardline location or Wireless AP depending on the specific setup that panel is using.